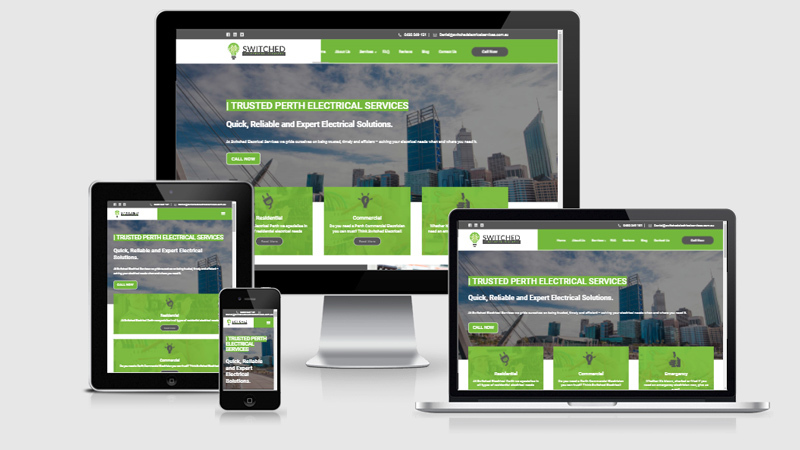 In an ultra competitive market, Switched Electrical needed a custom website that would generate consistent leads. Using our advanced market research techniques Summit Web was able to build a powerful, agile and unique site optimised to attract and convert online. Working with a growing electrical company, it was not enough to guess what makes potential clients make a call – we needed to know. That’s why we employed extensive research into how their customers behaved online, building around these specific needs. By knowing the client we were able to execute a build with extensive UX design in mind. Ensuring that when clients visit the site, they get what we need in the most direct way possible. This turned the site from ‘nice pamphlet’ into a lead generating machine. Before beginning the build, Summit Web spent extensive time developing an highly targetted online business strategy with Switched Electrical. By doing this we were able to develope a specific purpose for the build – lead generation. This allowed us to drill deeper into their niche and market, finding new avenues for online profitability. The result was a site that has sky rocketed our clients into the online sphere. With a massive percentage of leads coming directly from mobile users, it was essential that the designed was focused on mobile. We took the time to AB test this aspect extensively, ensuring that we’d captured every lead. For Switched Electrical a high ranking on Google is the difference between all-year-round calls and flat-lining income. So Summit Web created a completely customised and fully SEO optmised content – not only to boost rankings, but act as a 24 hour salesman. A vital aspect of this build was speed. A fast website meant dramatic increases in conversions. We worked tirelessly to ensure we kept the design light, securing the biggest bang for the quickest loading time.